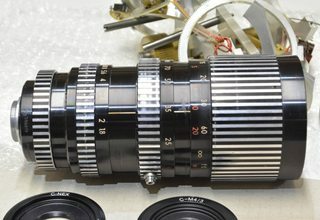 I am trying to identify the brand/make/model of this lens. It has a thread mount, 24mm as I measured it. It has two zoom barrels and no manufacturer name stamp I can see, although it has 'lens made in Japan' and 'No. 105022' engraved on the mounting flange. 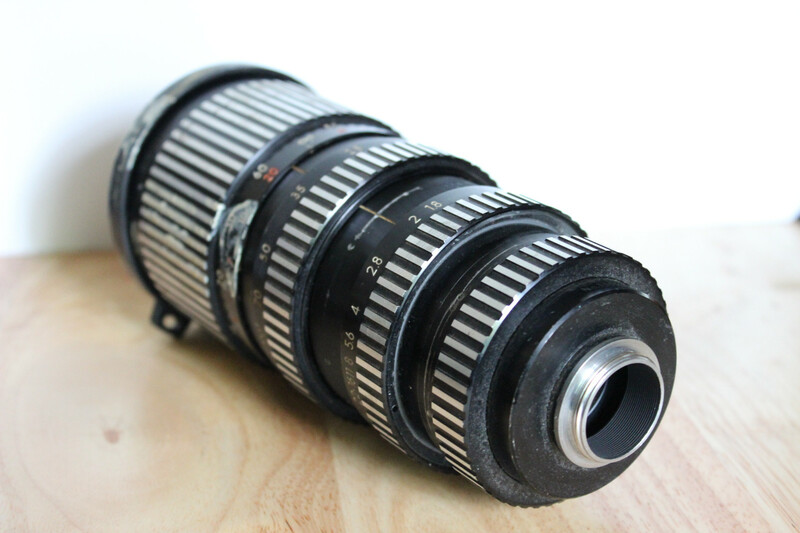 Any help id'ing this lens is appreciated. 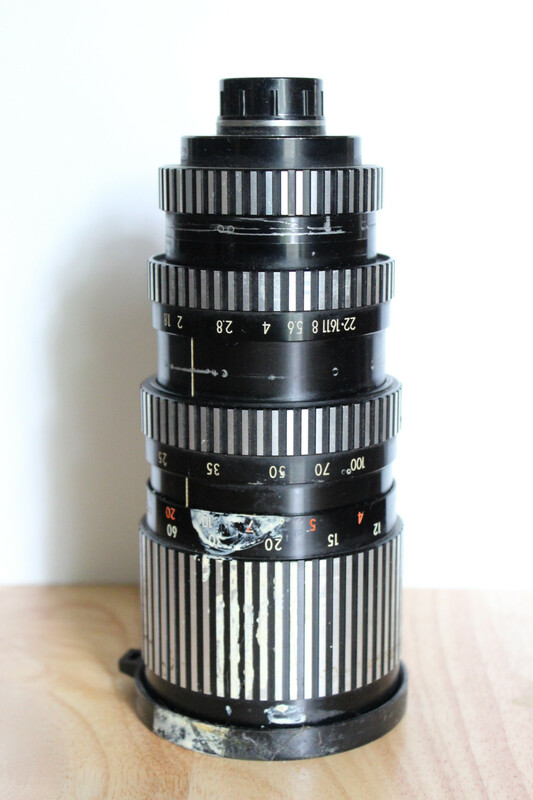 This appears to be a C-mount lens, probably for video cameras, such as for 8mm or 16mm video. From the information given, there is no way to tell what the intended camera format was. Based on the alternating silver/black pattern on the focus, aperture, and zoom rings, this appears to an older Tamron lens. A couple images from a lens that looks like it matches its exact appearance shows up in Google, referring to a Yahoo auction page that no longer exists, but was titled "not for sale TAMRON TV ZOOM f=25-100mm 1:1.8 C mount lens". The C-mount has a 1-inch (25.4mm) diameter. 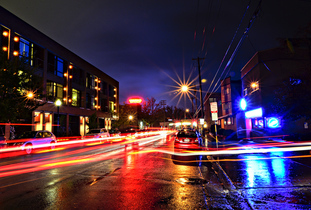 As noted in the C-mount Wikipedia article linked above, just knowing that the lens is C-mount does not tell you a lot. It doesn't tell you what the lens was intended to be mounted on. 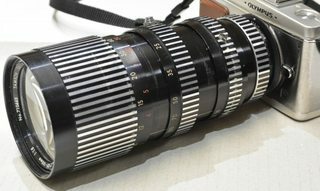 Depending on the size of the image circle cast by the lens, it might be incompatible with larger (at the time) format video. For instance, if the lens was intended to be used with 8mm video, then its image circle will visibly crop if mounted on a 16mm format camera. See the following article for a similar question about lenses on different sized imaging sensors: When do the differences between APS-C and full frame sensors matter, and why? Not the answer you're looking for? Browse other questions tagged lens equipment-identification or ask your own question. Can anyone help identifying this lens? How does focal length relate to macro magnification?